How do you stay positive when your day-to-day experiences in the city drag you down? For me, this campaign offers an opportunity to take the negative experiences and channel them into positive change. 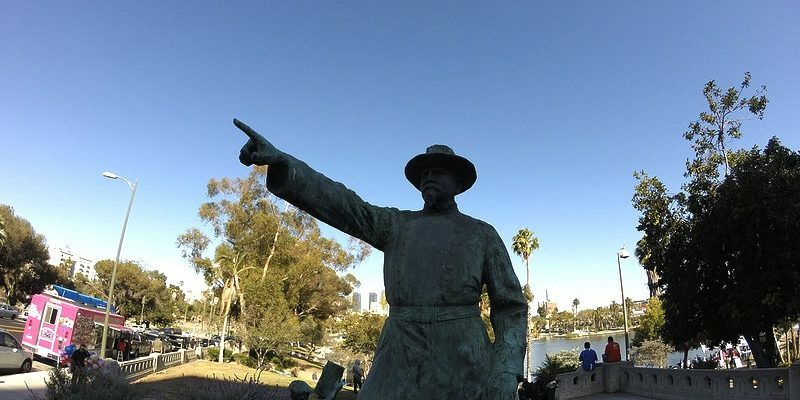 A recent trip to MacArthur Park tested my ability to stay positive about things in the district. 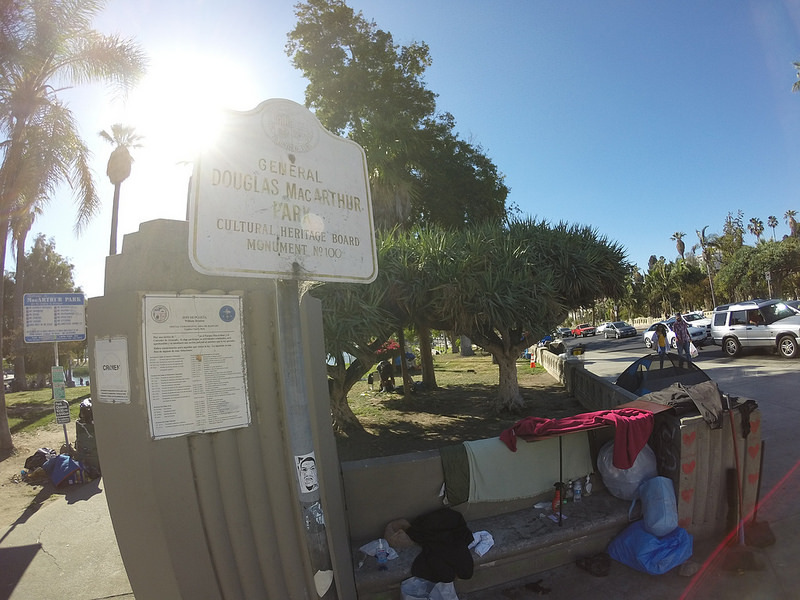 On a recent trip to MacArthur Park I experienced the discomfort and disgust that is all too common when one tries to use a public restroom at a park in the district. A recent beautification project in the park is a stark reminder of how deeply out-of-touch the current administration is with the human needs of district residents and visitors. Towards the end of my visit, I had a bit of hope restored by a group of volunteers doing a clean up. 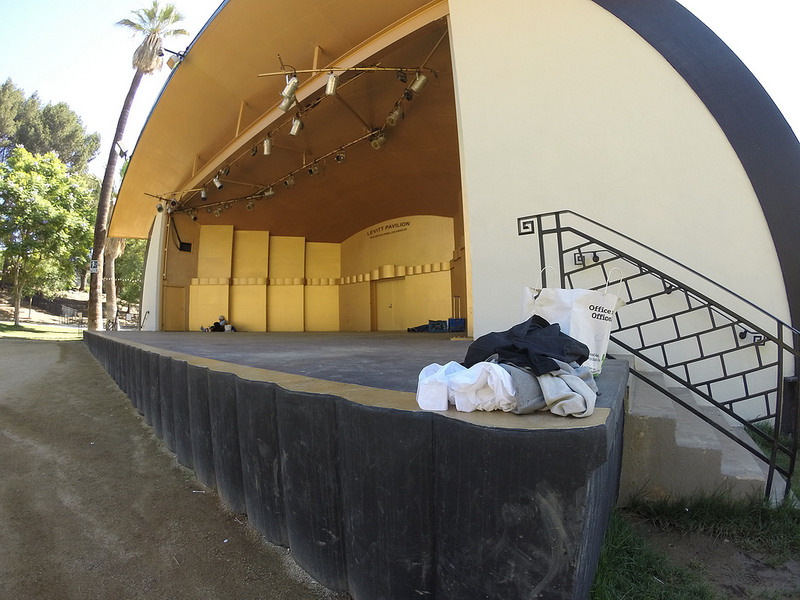 The Levitt Pavillion in MacArthur Park serves as an informal daytime shelter for the homeless. One recent morning, between meetings in the MacArthur Park, nature called. I rushed over to the bathrooms in the park and had to wait in the sun for about 20 minutes to use the only functioning bathroom (out of three) attached to the Levitt Pavilion. The other two were being used as showers by homeless people or were simply closed with no notice posted. While I was waiting to use the only available bathroom, a young man shuffled up and rattled the handle on the locked door. I told him they were all occupied. He walked off and urinated in the bushes. The area outside the bathroom has obviously been used as an open air toilet quite recently (the smell gave it away). When I finally got in, the bathroom was a horrible mess, the door wouldn’t lock properly, and the toilet didn’t flush! 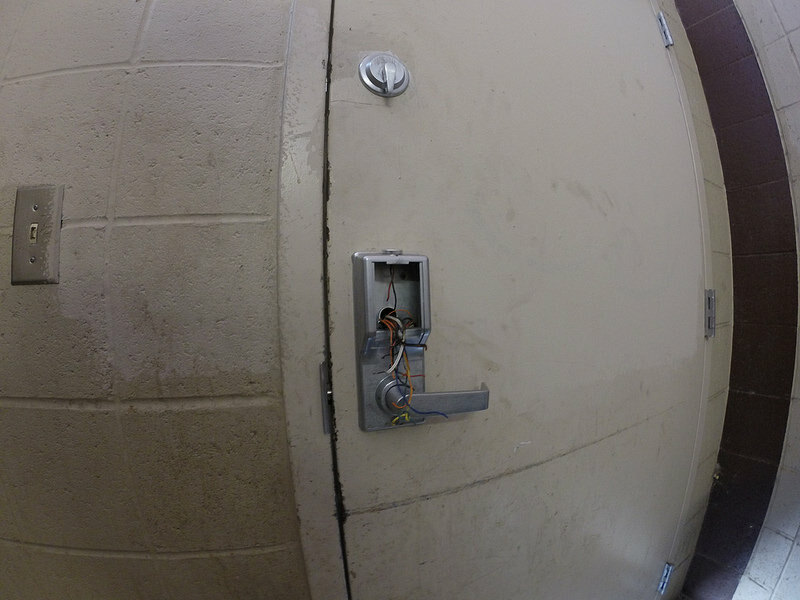 There are parks employees on site – do they use these toilets during their work day? If so, one would think they have valid grounds for a lawsuit. There is a large soccer field, a performance space pavilion, lots of outdoor seating, two large playgrounds, bus stops and a subway station nearby. Thousands of residents pass by, and through, all day. Overall it was an uncomfortable, humiliating, dehumanizing experience. I can’t imagine how bad it gets in the evenings when everyone is in the park playing and socializing. When there are teams of soccer players and kids with their parents – and this is what we’re met with when nature calls. MacArthur Park recently had a $2.1 million decorative gate installed by the incumbent councilman. To me, that is a moral crime given the on-the-ground conditions in the park bathrooms. It’s not all bad news! After my epic wait for the bathroom I ran into a group of people with gloves and plastic bags walking through the park picking up trash. They didn’t have the Parks Department vests all official parks volunteers wear (after being fingerprinted, etc.). It was a group based in Hollywood that believes in public service. The man in charge of the clean-up said it had taken months of dropped email threads and un-returned phone calls with the current councilman to arrange for a city dumpster to be made available to assist his organization in their clean up efforts. We are always told it’s a lack of resources that keep our districts’ parks filthy and broken. I don’t buy it. I don’t believe it. We are the largest most powerful city in the most powerful state in the greatest country on the face of the Earth. We have people banging on the door to volunteer their services to improve park conditions. What is broken, what is lacking, is the stewardship in our local council office. 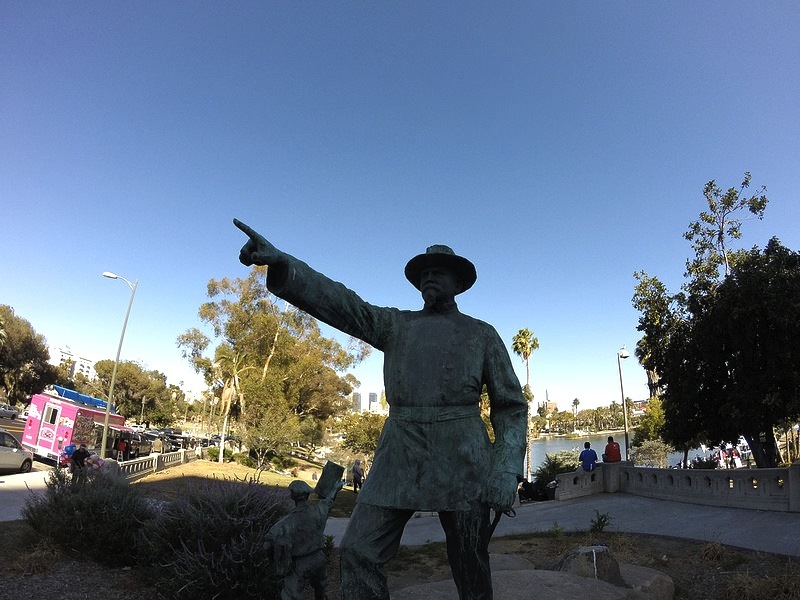 I’m trying to stay positive, but negative experiences like the one I had that morning in MacArthur Park make it hard. I want to go on the attack, to yell, to shout, to protest – but when the incumbent has his ears plugged and his heart closed, what is the point of that? No, We need to do something else. We need to come together with our neighbors across the district to meet our collective, and very human, needs.